A seasoned age group athlete turned endurance coach, 10 years+ of racing experience in Marathon, Triathlon, and Cycling. 6 times Ironman Finisher including a Kona Finisher. Strong expertise in helping first timer triathlete train in any distance. Expertise in working with newbies in open water swimming, road cycling and distance running. No matter if it is your first half marathon, or it is your first century ride or your first sprint triathlon. I can help you achieve your goals. I believe the first time into any new sports equally challenges as first time summit Kilimanjaro. In 2012, I volunteered at Ironman Arizona and signed up the day after the race for the following year. At this time, I didn't know how to swim nor know how to bike. Over the next 12 months, I learned how to swim by myself, bought a nice TT bike and learned how to cycle. 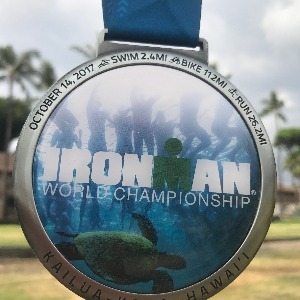 I have since finished the hardest Ironman's (Lake Tahoe, Boulder) in North America , including the World Championship in Kona. I will be racing Ironman Canada 2018 and the Challenge Roth 2019. I am a self-made marathon runner, open water swimmer, California Triple Crown _Gold Thousand Mile finisher, a Death Ride Finisher and 6x Ironman finisher. I am an experienced endurance coach not only will guide you through all your fears, challenges but can also relate to what you are facing, and lead you in the right direction. My experience and expertise will help you not only finish your race but will ensure you will do well and have fun. All you need to have is a strong desire to be the best you can be, and willing to do what it takes. Success. Coach Joy Yang has been notified of your message.